Which Harvey did u like better? What did u think of Roland? de keuze van de fan: Being trapped and experimented on in an insane asylum. 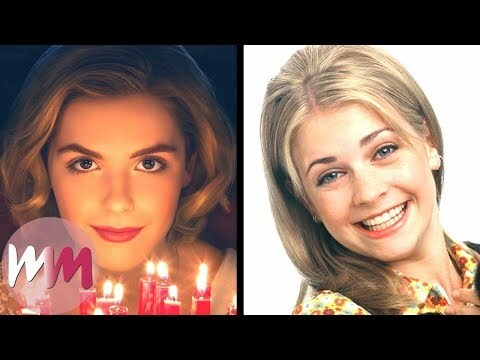 Do u want sabrina the teenage witch to come back? Why was Sabrina planning on letting Roxie and morgan stay in her house after she and Aaron verplaats to LA? How can season 3 take place during the seconde semester after season 2 when both have a Halloween and Christmas episode? A fanpop club I made recently of Harvey since I noticed there wasn't one on FP. Please kom bij if you're interested! Hooray, a place for anyone who wants to contribute an icoon of banner for a spot makeover to do so! a comment was made to the poll: Do u think Sabrina the Teenage Witch would've worked as meer of a drama (like Gilmore Girls, OTH, etc)? a comment was made to the poll: Which is your favoriete Halloween episode? a comment was made to the poll: if libby was a witch would she be a good one of a bad one?